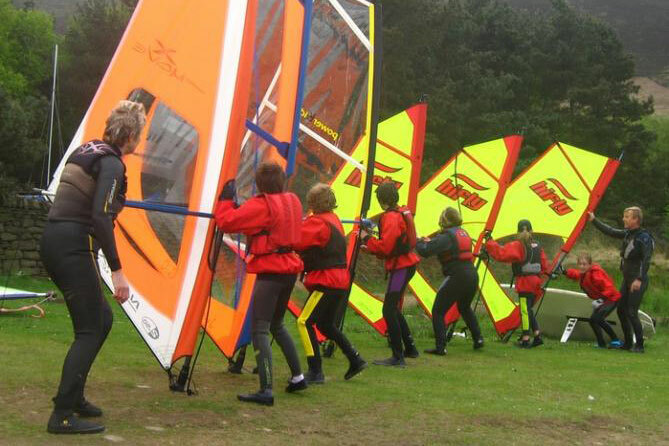 The club is officially recognised by the RYA as a windsurfing teaching establishment. The RYA is the UK governing body for all sail related sports. 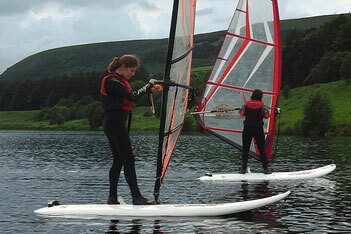 The club runs RYA approved courses for beginner and intermediate windsurfing. Details of these courses are on the RYA website. RYA Windsurfing Courses The club runs the courses detailed below. We prefer to run the courses as sessions run over a number of weeks. Contact us for dates. Experience required: none. 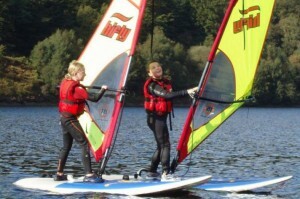 Sample the exciting sport of windsurfing. 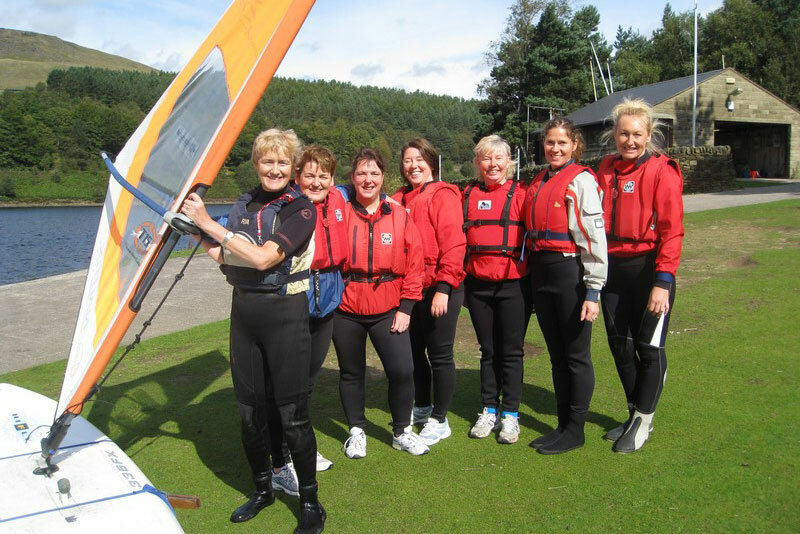 This 2-hour session will get you on the water quickly with an emphasis on having fun and getting wet. 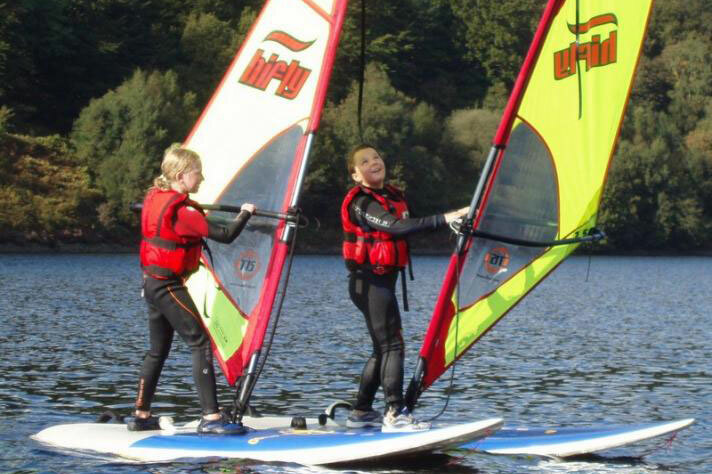 The session will get you on the way towards Junior Stage 1 or Start Windsurfing. Experience required: none. This is for those with little or no experience, who like the challenge of standing on a board, catching the wind and sailing across the water. The courses comprise skills and theory teaching with the instructor, followed by time to practice on the water. 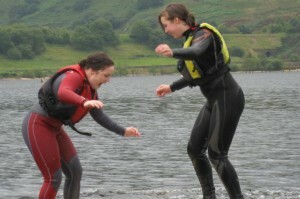 After 10 sessions, the students will normally complete one or two of the junior RYA stages. Experience required: RYA previous Stage or equivalent. Building on the experience acquired by completing Stage 1, this course develops your windsurfing so that you can steer on the move and sail with more speed. By Stage 4 you will be skimming across the water using a harness and foot straps to take the strain. The sessions include an opportunity to join in the Glossop T15 club, an RYA junior windsurfing club. There are chances to travel to other clubs in the North West and experience sessions with RYA regional coaches. For complete beginners, this will get you windsurfing where you want to go in light winds. The club can provide all equipment for this course. All you need is a willingness to have fun and get wet occasionally! RYA courses are internationally recognised. You can use the qualifications learned at Glossop anywhere in the world. 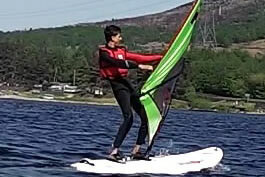 Learn to handle the board in stronger winds using the harness to take the strain, and turn the board quicker. Learn some tricks! At this stage you may be thinking of buying your own kit. Try before you buy – we may be able to help. Get your board moving with your feet in the straps ready for anything! At this level you are ready to try your kit out on the sea.